From thrill seekers to those who prefer a gentler pace, there’s something for everyone to enjoy. Take a spin on the Hornet Rollercoaster, check out the amazing views from the top of SkyRaker - the drop, twisting ride, brave the Thunderbolt or journey into the dark on Space Race and prepare to get wet on the Colorado River log flume. Feel the G-Force on the new ‘Sky-Force’ ride. Whizzing high above the Park this adrenaline-packed ride is guaranteed fun for thrill-seekers. The giant ‘white knuckle’ experience takes up to 40 people, 25 metres above the ground exerting a force of up to 3G whilst simultaneously spinning 360 degrees. tall brachiosaurus, awesome tyrannosaurus rex and giant triceratops as you track down dinosaurs. Visit the Dino-Nursey & Hatchery to see the latest arrivals and join the Dino-Dig to unearth fossilised remains in a special prehistoric boneyard. Plus take a walk through history in Flambards’ award-winning undercover attractions. Journey back in time to discover Britain in the Blitz, The War Gallery and Aviation. Experience and an entire Victorian Village– all under one roof. With its evocative atmosphere of bustling streets and alleyways, hidden nooks and crannies, the village is an incredible all round sensory experience with authentic sights, smells and sounds -thanks to the real cobblestones! Wander through the life-size village; home to 50 real businesses. Gaze through shop windows, step inside the local pub, visit the greengrocer’s, ironmonger’s, butcher’s, shoemaker’s and even the apothecary – everything from a schoolroom and blacksmith’s to the fire station are authentically recreated with thousands of genuine artefacts. The Britain in the Blitz display is a life-size re-creation of daily life during WWII. Hear the air raid sirens and feel the floor shake as another bomb hits its target. Peep into a wartime kitchen, the local pub and an evocative railway platform scene showing children being evacuated. There are also a series of fascinating letters home sent from children evacuated to Cornwall in order to escape the threat of bombs. Flambards has an exciting calendar of seasonal entertainment planned for 2019. 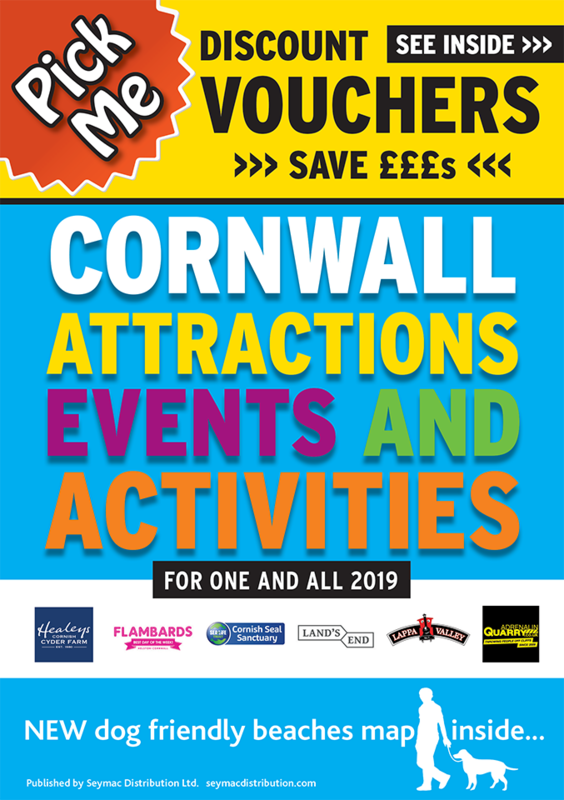 From June 29th – September 8th visitors are invited to join in with Cornwall’sSummer of Fun. Enjoy daily entertainment, fireworks spectacular evenings and tribute music acts keeping everyone entertained. The indoor attractions will also be open throughout the holidays. The frightfully entertaining Shriek Week takes place over the October half term holidays (October 19th –31st) with a fireworks spectacular on Wednesday, October 23rd.